The Fantabulous iPad Case by SecretMac is a felt protective case with secure elastic band closure. This stylish iPad case is very lightweight for those who want a simple cover to protect their iPad from scratches and dusts. 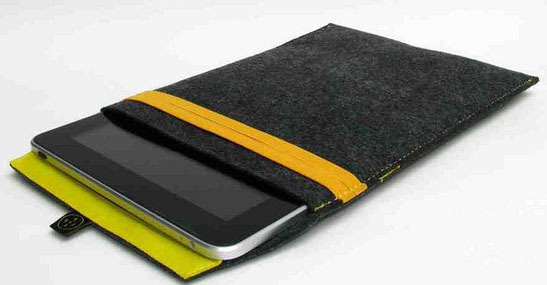 The felt iPad case is in dark grey with choices of elastic band in blue, yellow, deep pink and green.